The 510(k) Decisions website contains over 132,000 FDA 510(k) applications and decisions collected since May, 1976 from the U.S. Food and Drug Administration’s publicly available databases of FDA Device Approvals and Clearances. Additionally, it provides convenient cross-linking of records by applicant company name, contact name, device classification, and product code. 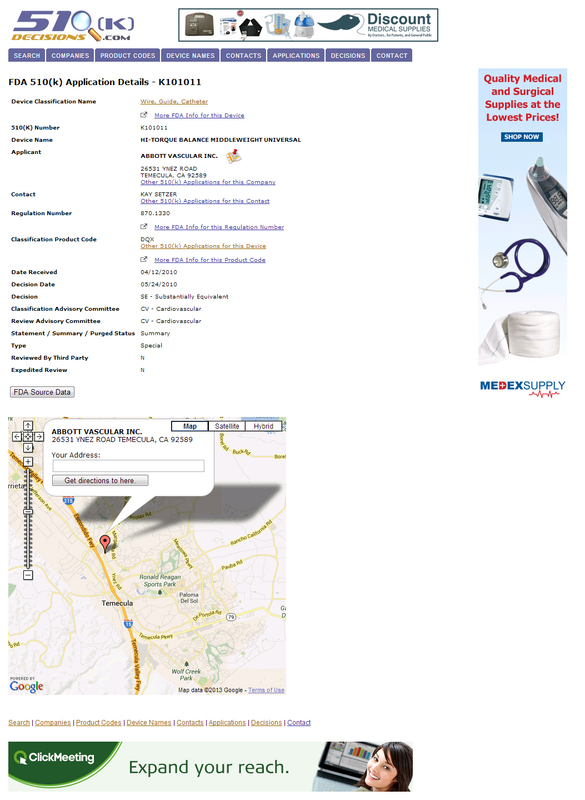 With Google Map integration the location of each business location is displayed within each company profile. I created this directory with ColdFusion and MySQL.